In collaboration with the Carolinas, Georgia, Florida Chapter of the American Society of Hypertension, Continuing Education Company (CEC) are pleased to offer the 21st Annual Medical Conference on Hypertension, Diabetes, and Dyslipidemia. 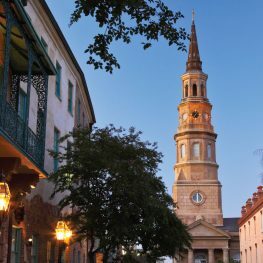 This three day intensive conference, held on June 23-25, 2017 in Charleston, South Carolina, has been endorsed by the American Society of Hypertension (ASH), and Southeast Lipid Association. Over the past several years controversies in the appropriate level of Hemoglobin A1C, BP, and LDL-Cholesterol for outcome improvement continue to occur in Type 2 diabetes, Hypertension, and Dyslipidemia, respectively. Despite the results from the ACCORD, VADT, and ADVANCE studies suggesting the benefits on reducing macrovascular disease with a more intensive strategy for A1C reduction remains unclear, individualized A1C targets for those with newly diagnosed diabetes compared to those with long standing disease are often recommended. In addition, controversy continues to exist in cholesterol control as recent guidelines suggest that one should decide on the intensity of statin-based therapy for outcome improvement in those at risk for or with established ASCVD rather than a specific goal of LDL-cholesterol reduction. Finally, the recent SPRINT trial has suggested that lower targets for BP reduction than ever achieved before can and should be achieved in high-risk adults with hypertension. This conference will address these and other issues confronting the clinician who treats challenging patients with diabetes, hypertension, and dyslipidemia. The participant will learn the most current information on these issues and will be able to apply these important clinical principles back to their everyday practice to improve the care of their patients.